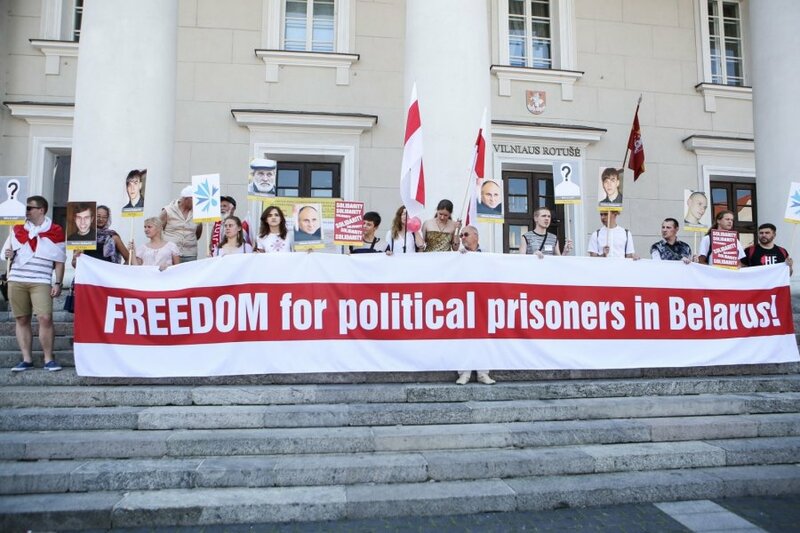 Several dozen of people gathered in the Town Hall Square in Vilnius on Tuesday urged Belarus to release political prisoners and ensure civil rights in the country. Political scientist Vytis Jurkonis who is behind the campaign organized for the 4th consecutive year said that it was intended for both Belarusian and Lithuanian societies. "First of all, we must speak about the sensitivity of the Lithuanian society to the human rights agenda. There are still myths that Belarusians live lives that are not that bad, that they come here to shop, however, ignore the existence of six political prisoners in Belarus. Their (Belarusian) civil society operates under underground conditions, media restrictions there are huge," he told BNS. Participants of the campaign and passers-by ad an opportunity to write postcards Belarusian human rights defenders promised to hand over to the political prisoners. MP Linas Balsys came to the Town Hall Square to support the Belarusians who are in prisons for political reasons. Balsys is a patron of one Belarusian political prisoner, Nikolai Dziadok. "He is a young guy probably under the age of 30, he is one of the political prisoners in Belarus who is in prison for anarchist statements, however, he is indeed a person who did not fear to criticize the President Alexander Lukashenko regime," Balsys told BNS. In the run-up to the October 11 presidential elections, Belarusian human rights defenders fear possible increase in the number of preventive arrests, independent media restrictions and other restrictions of human rights. 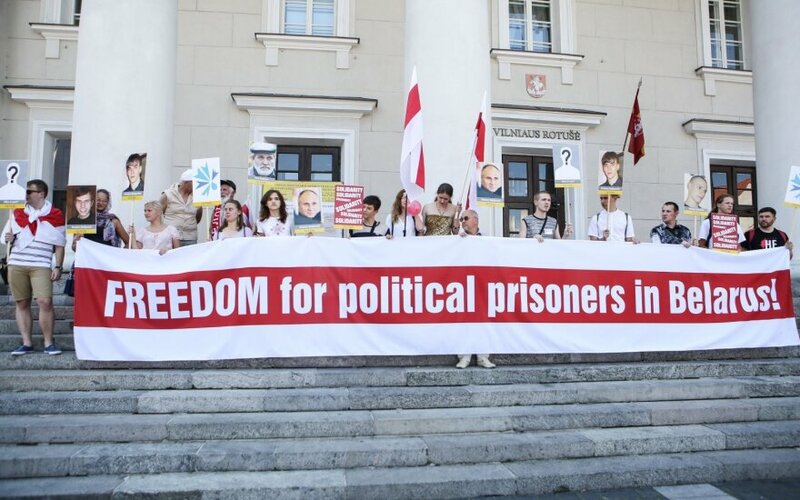 Organizers of the support initiative for Belarusian political prisoners say six persons are currently behind bars in Belarus for political reasons, in addition to Lukashenko's four former opponents who have been missing for 15 years. August 4 was chosen for the rally because on this day four years ago Ales Belyatsky, one of the most prominent Belarusian human rights defenders, was arrested in Minsk. He was released in June last year.